We customize a tooling approach to the desired converting goal. This can be a short one off run or a full set running at 9500 sheets per hour. 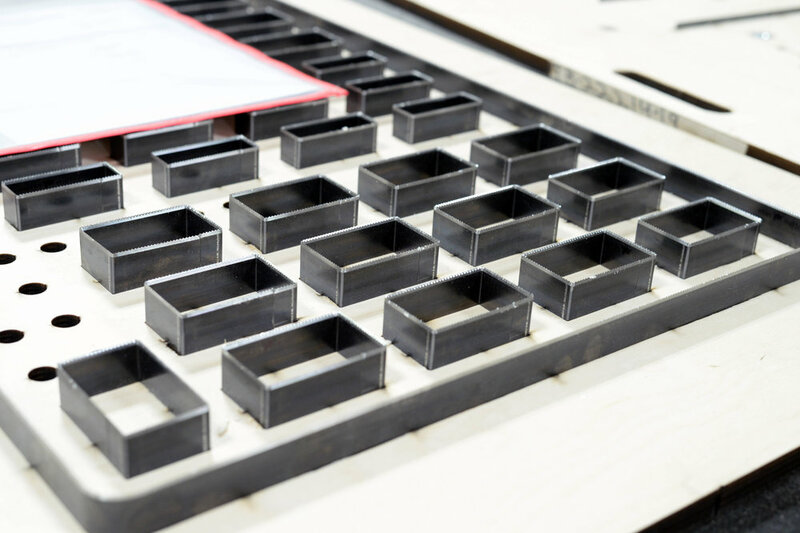 Today, the Die must be ruled and nicked perfectly, and rubbered with the best materials cut precisely for the desired application.The Counter-Plate has to be one with the Die. Stripping and Blanking tools have to be designed individually every time with the particular specifications in mind. Ameritek creates the entire package in one location – Built in perfect unison each and every time.